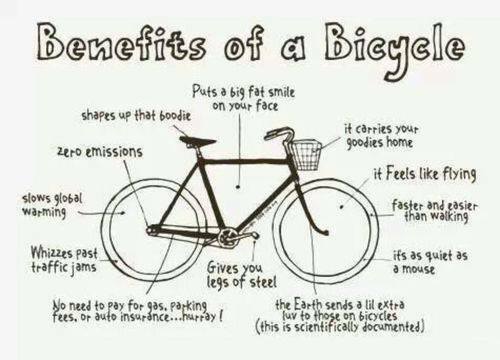 5 reasons to love your bike! At BikeBus we are completely in love with riding our bikes, and we are going to show you why! We all dream of that perfect body and each day I ride my bike I get closer to it! It’s an amazing feeling to know that something so relaxing can tone you up so dramatically. We are all way too familiar with the words ‘global warming’, ‘CO2’ and ‘carbon footprint’ but switch to riding your bike and you can rest assured knowing you are doing your bit, after all this is the only planet we have.